A plant with the opposite fragrance of the sauromatum is flowering in one of our rock gardens...Dianthus ‘Sangria Splash’. 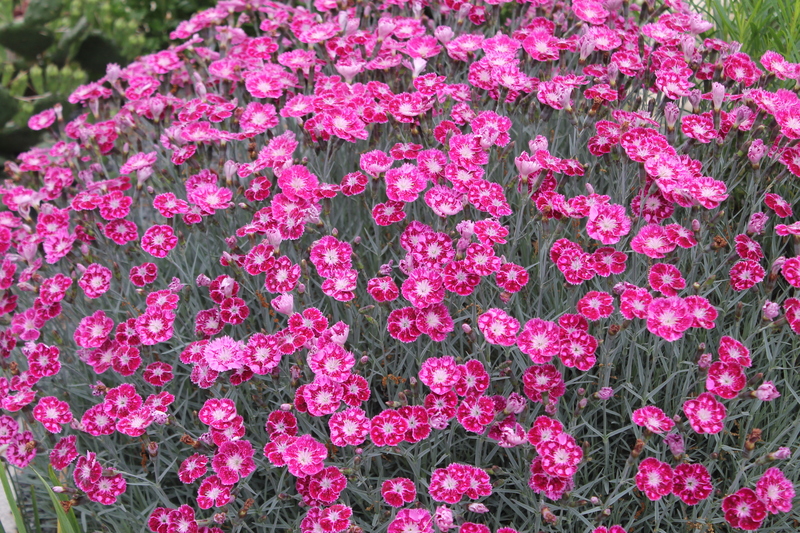 We trial lots of dianthus (hardy carnation), and most are bred to be potted plants and don’t survive our brutal summers. This gem has been growing in our full sun rock garden for years alongside cactus and this is how it looks now…darn impressive! 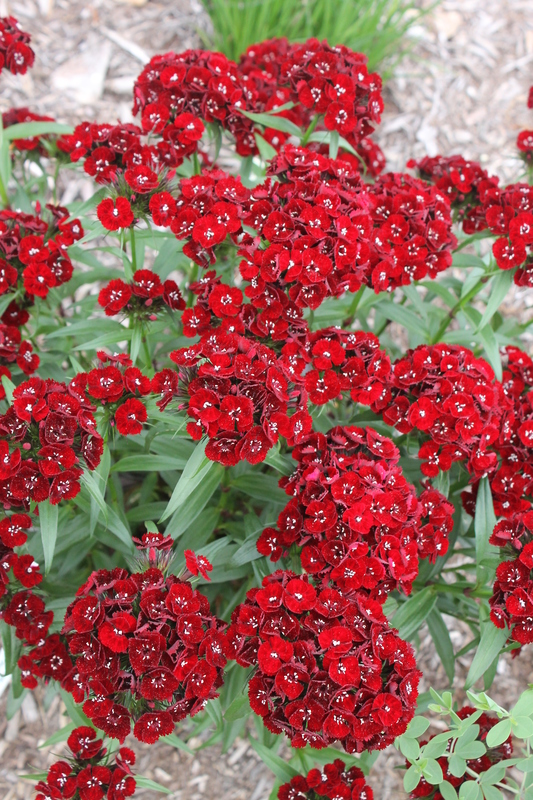 Dianthus barbatus ‘Heart Attack’ is a perennial sweet William that’s looking great right now. This gem was shared with us many years ago by our first garden curator, James Stevenson, who is now the Education Coordinator at the Florida Botanic Garden in Pinellas County, Florida.